Three years ago today metal lost an awesome drummer who wasn’t anywhere near ready to go. James Sullivan aka The Rev, Avenged Sevenfold’s hot drummer. Some say The Rev passed from accidental overdose while others say it was natural causes. I’ll stick to my guns and say natural causes! Some may call me naïve, whatevs dude! Start your own blog & rant on your own time, move it along. 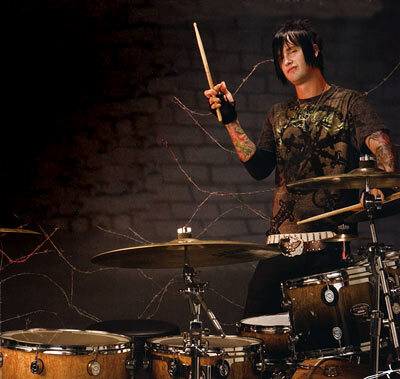 Besides being a badass drummer, Jimmy actually did have a lot to do with the birth on A7X. After his passing, the band created the video for their song So Far Away. In this video you can really feel the sense of brotherly closeness between the band members. Obviously, the kids are actors but they represent the love the band held for The Rev and wanted to share that with the world. No one can ever understand what it was really like to lose him except the band and his family. It’s a sucky feeling that everyone, unfortunately, has to go through at one point or another. I was actually introduced to A7X late. In fact, I wasn’t introduced to good music until I hit college! I’d like to think I’ve blossomed from having Backstreet Boys & N’Sync posters hanging on my wall. Once I heard I Won’t See You Tonight (both of them) I knew I needed to hear more. By far, Waking the Fallen will always be the album I will never get tired of because that was the first time I heard their sound. City of Evil will remain my favorite album – end of story. One day I do hope to see them live OR INTERVIEW – WINK WINK! The guys are going back into the studio to begin recording their new album following Nightmare. Don’t want to wait that long to hear new material? No worries, just throw on your Call of Duty Black Ops II and you can listen to Carry On and if I read correctly, you can actually watch the video at the end of the credits. If you can’t bother to do neither, check it out here. Damn, damn, Synyster still has it! You’re Heaven’s Drummer Boy, Rev, keep tapping that kit. Great band so lose such a great drummer. Still carrying on though. Nice piece!